KUALA LUMPUR: The Yang di-Pertuan Agong, Sultan Muhammad V, has given his consent to implement the Sales and Services Tax (SST), paving the way for the tax to come into effect on Sept 1. The King’s approval on Friday last week came after the Dewan Rakyat and the Dewan Negara gave their greenlight on Aug 9 and Aug 20, respectively. This meant SST would be enforced from Saturday, replacing the abolished Goods and Services Tax (GST), Finance Minister Lim Guan Eng said in a statement yesterday. 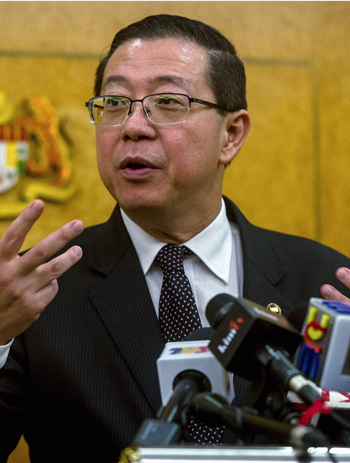 Lim expressed his appreciation to Sultan Muhammad V for consenting to the SST implementation, in line with the Pakatan Harapan government’s commitment to fulfil its manifesto promises during the last general election. “With the implementation of the SST that will be gazetted before Aug 30, the government hopes it can alleviate the people’s burden, as the government will only collect RM44 billion in SST this year compared with RM21 billion in GST,” he said. Lim urged businesses to adhere to the regulations and register for the SST, saying that it would prevent anyone from taking advantage of the situation and curb increases in prices that would put pressure on the people.